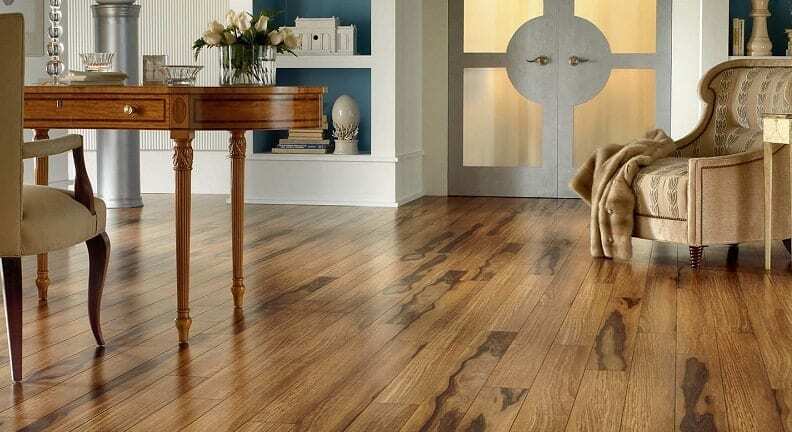 If you are thinking about embarking on some DIY to lay laminate flooring there are a few things you need to consider before you begin. 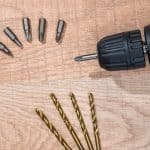 Apart from sourcing the new boards, you need to make sure you have the correct tools for the job. And that doesn’t begin or end with the laminate cutting machine, or jigsaw. To do the job properly you will need everything from a decent dust mask, measuring implements and ideally enough work space to go about your DIY with ease. In this article we will look into exactly what you should have ready, before you make that first cut. Cutting laminate flooring creates a lot of dust. 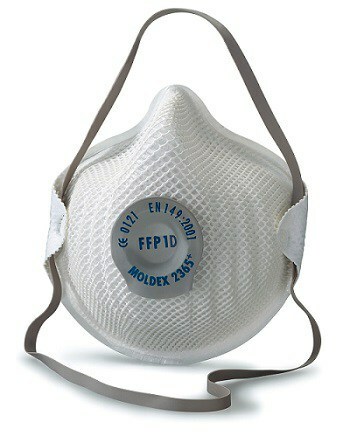 Even if you choose to use your cutting device outside on the patio, a good dust mask is a must. Furthermore, laminate floor boards are man made. They are created using a multi-layered, synthetic process and have an inner core layer normally composed of melamine resin and fiber board. 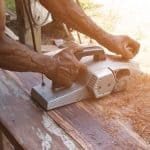 Despite the fact there are stringent guidelines on the manufacturing process and materials used, the dust that springs up from cut laminate is something you do not want going into your lungs. If cutting inside, ensure the room is well ventilated. If your cutting tool of choice as a nozzle to attach a vacuum hose, now is the time to use it. It goes without saying that you will need to measure up your floor area, as well as the material being cut. Your toolbox should have a decent tape measure already. If not, you can check some out on Amazon here. You will also need a fine tip non-permanent marker, or light HB pencil. Anything to mark the boards in a way that can easily be wiped cleaned afterwards basically. 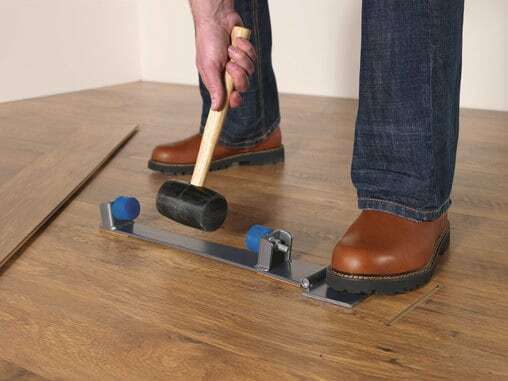 A laminate flooring kit will take care of the small accessories that you need for the job. Spacers will be required to set between the boards to create an expansion gap. A pull bar will also be needed to adjust and remove set boards and for putting the last board in place. You will also need a tapping block for precision alignment. While you can go out and buy these separately, to have these bits and pieces all in one pack is the recommended approach. To check out laminate flooring kits currently available on Amazon.com, head here. Now we get to the most important tool of all. The one you will use to cut the laminate boards. There are pros and cons to each of course. In some ways the answer to which tool to use will depend on what you own. 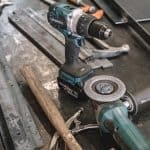 If you have an expensive circular saw in your workshop and neither of the other tools, you are hardly likely to go out and by a new tool for the job. You will stick to what you have. That being said, job specific tools such as the laminate floor cutter are worth investing in if you plan on doing a lot of flooring work. 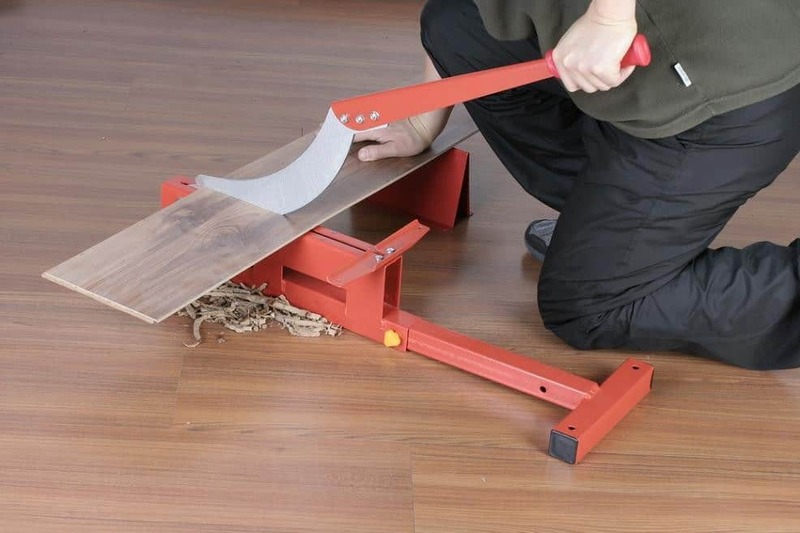 The laminate floor cutters are a specific tool designed for (you’ve guessed it), cutting laminate floor boards. They are clean and efficient to use (very little dust is created, you just pull on the handle to cut the board) and are a great choice for very little money. The video below provides a good guide on exactly the steps to take if using a laminate floor cutter for the job. 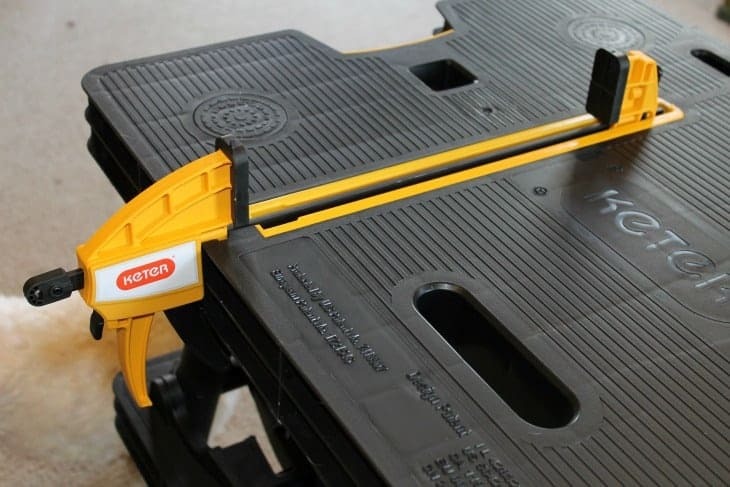 We recently reviewed some of the best laminate floor cutters here. The jigsaw benefits from the fact they are light and easy to use. You can also cut intricate shapes, something that is not possible with the floor cutter. 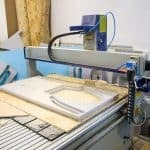 If you need to create edges at irregular angles, the jigsaw is the number one choice for the job. Affordable blades are also readily available. Laminate flooring damages saw blades very quickly; with a jigsaw you can pick up a pack of blades designed for the job with minimum outlay. The circular saw is another good option. They are light, portable and much like the jigsaw easy to work with. Some models can be connected up to a vacuum for cleaner operation too. Job specific blades are more expensive with a circular saw, and you will need to ensure you have robust carbide tipped options if you want them to last. 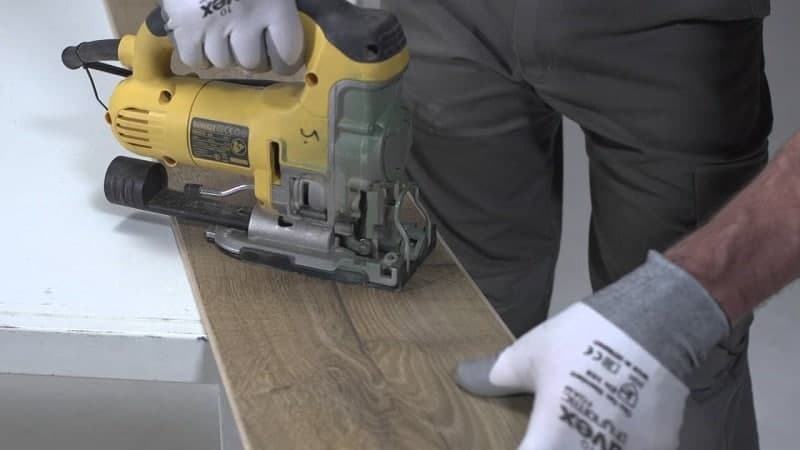 Check out how to use a circular saw when cutting laminate flooring below. A good work table with suitable clamps to hold the cutting material is especially important if you are using a jigsaw or circular saw. With out a suitable, flat work space you will find it difficult to get the results you need for precision flooring. 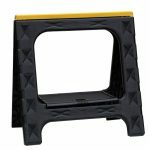 You can check out some of the latest heavy duty work-tables on Amazon.com here. This is especially important if you need to cut neat holes for radiator piping. 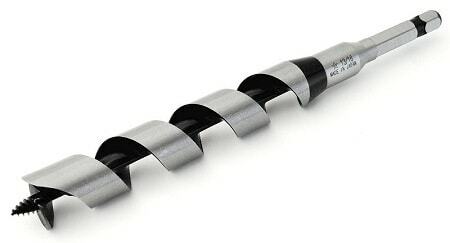 While taking a chunk of the wood out with a jigsaw is one option, a tidy hole created with an auger bit, complimented with a pipe collar to cover the expansion gap, makes for a much more satisfying finish. Think like a professional and get the results to match. A combination square is a handy little tool to have to maintain the accuracy of your cuts. Marking square lines are an absolute breeze with one these. They can also be used to mark parallel line when cutting boards to width. Finally, you will need some strong, hardwearing wood glue. 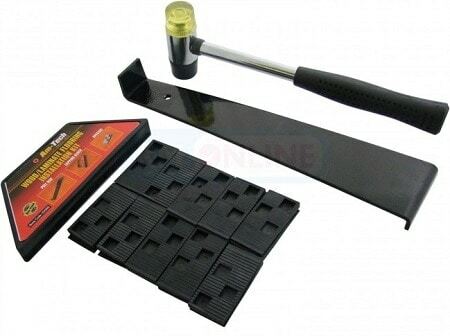 While the laminate floor tool kit should have some included, this may not be in the quantities you require, (or be of the quality you need). 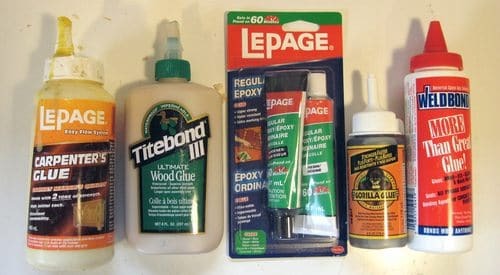 To check out some of the latest wood glue products on Amazon.com, head here. 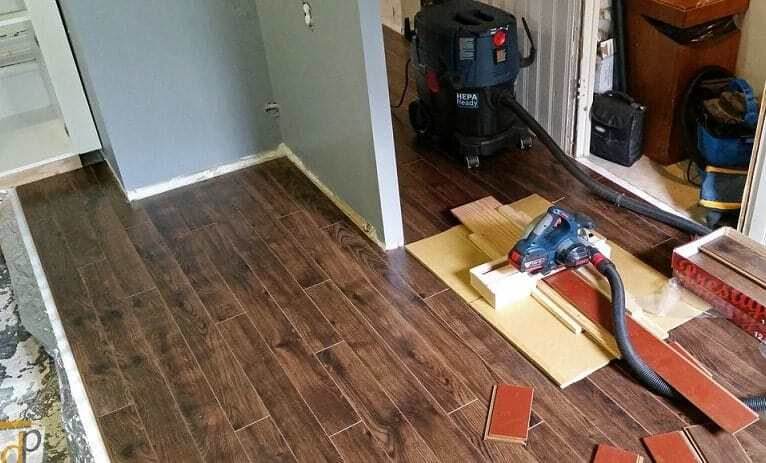 And there you have it, with careful planning and the correct tools, there is no reason why you won’t be able to lay precision placed laminate flooring – even if it is your first time.